At it’s core, Sniper elite 4 is a 3rd person tactical shooter. As the name suggests a lot of the game play is based around sniping and picking off your enemies from great distances, stealth plays a massive part in the game too as a lot of the mission require you to be a silent assassin. 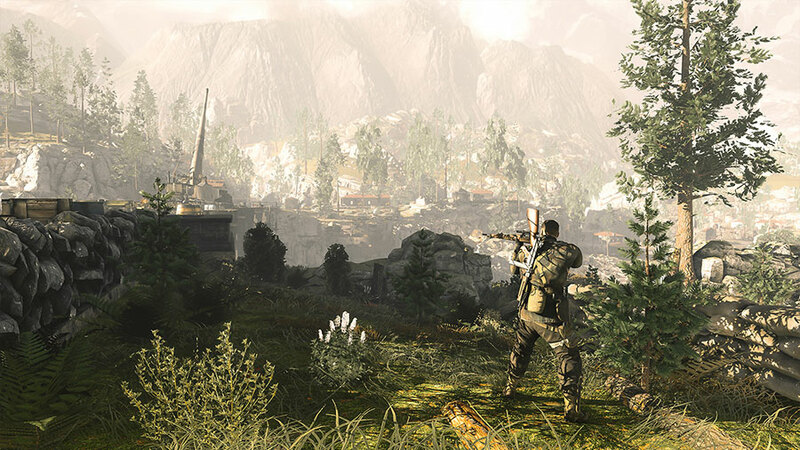 Even though the game uses a sniper rifle as it’s core weapon, players are able to use other weapons as well, such as assault rifles, hand guns, grenades and trip mines. Sniper Elite 4 comes with an upgraded Map system which includes integrated vertical expansion which means maps will be larger in size compared to Sniper Elite 3. The artificial intelligence has been upgraded from Sniper Elite 3. According to the developers, Rebellion, the AI has been given a significant upgrade to the point where enemy troops will scout out an area where they believe the sniper shot was taken for example. The upgrade in AI will also result in the importance of higher ranking enemies such as Officers. For example if the player takes an officer out early, his troops may retreat due to lack of orders. Likewise if the officer is not taken out he will direct the troops making Karl Fairburne’s mission more difficult to accomplish. One thing that was a favourite with fans in Sniper Elite 3 was the kill-cam feature. A perfect shot would trigue a slow motion X-ray cam which followed the bullets trajectory as it made it’s way into the body of the unsuspecting enemy. Sure it was pretty gruesome but it was a feature that the fans really liked. Sniper Elite 4 builds on the kill-cam as this time around it will not just be built on distance shots only. The cam will activate when an enemy is executed in any way such as from knives, explosions and other weaponry. Players will also get extra points for Shrapnel and melee kills. We cannot wait to sink our teeth into the new gameplay features of this game as we eagerly anticipate the game's release. Set 3 years before the events of the original Sniper Elite during the Battle of Gazala in Egypt, 1942. You step back into the shoes of OSS sniper Karl Fairburn as he is sent to assassinate General Franz Vahlen and uncover his top-secret project. The story of Sniper Elite 4 takes place straight after the events of Sniper Elite 3. The year is 1943 and once again you play as OSS agent Karl Fairburn. Karl’s mission this time is to head to Italy to assist the Italian resistance as they fight against the Fascists. 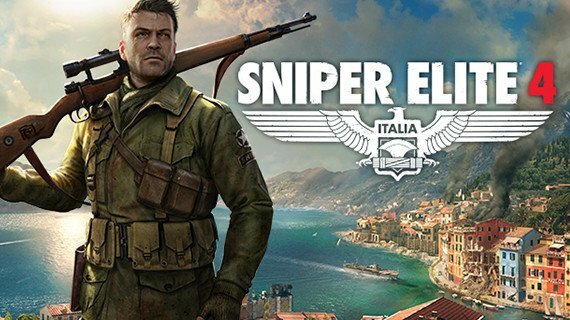 As we already know, Sniper Elite 4 is set in the Italy 1943 during the Second World War. Once again Karl Fairburne has been thrown into a top secret OSS mission, this time to save Italy from oppression.